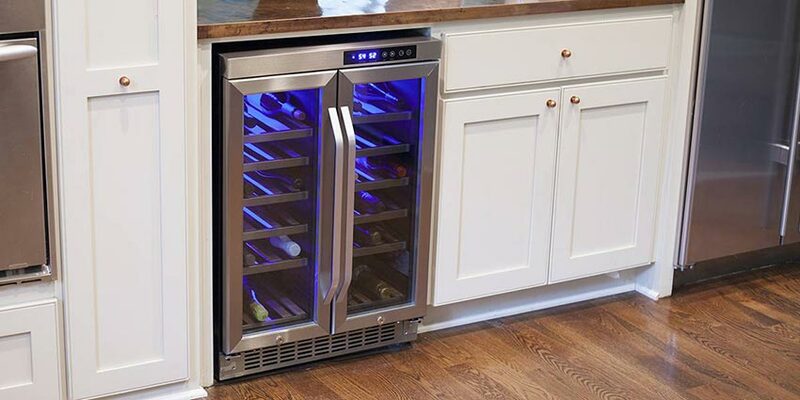 Designed to store your favorite bottles of wine in a manner that will improve its taste, nose and integrity, there are many different types of wine refrigerators available to you. However, not all of them are built the same, so how do you know which one is right for you? To help you find the best wine refrigerator for you, we have listed seven of the most common features you may find while shopping for a unit. 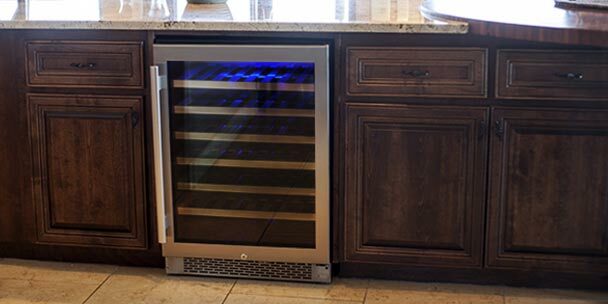 If a wine cooler features interior lighting, it is most commonly LED or “soft” lighting. 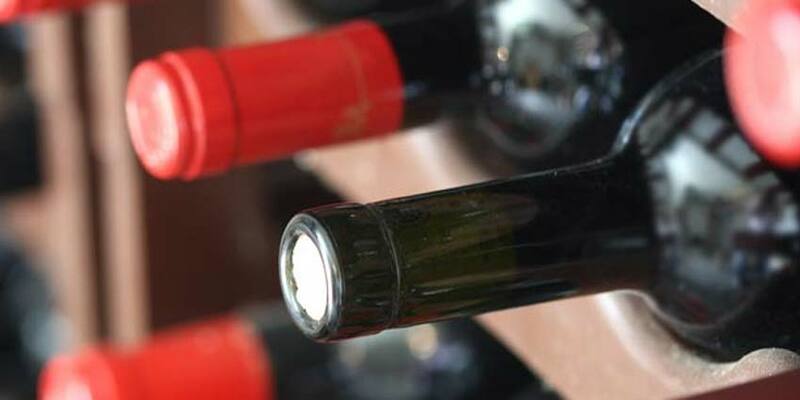 Interior lighting is always helpful when viewing and selecting from your wine collection; however, you must make sure that it is not harsh or harmful lighting. Standard light bulbs tend to give off heat and excess heat is harmful to wine. LED lighting, which stands for light-emitting diode, does not give off heat, making it a safe option for wine refrigerators. The most common indicator that the lights are LED is the modern blue color they emit. Factory-installed safety locks do not come standard on all wine refrigerators, only on some models. 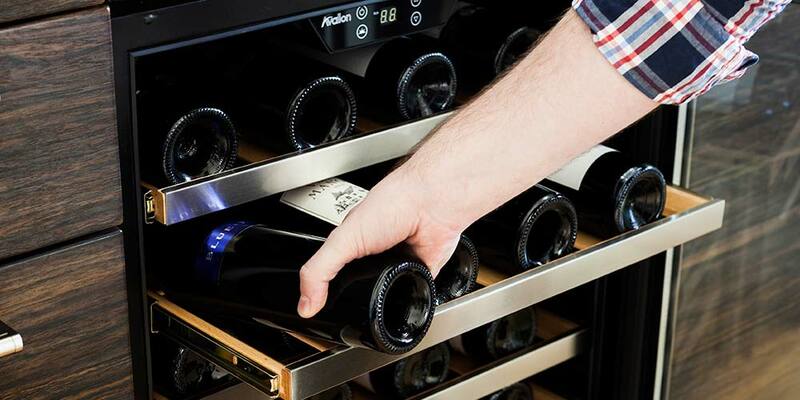 If you are worried about children, teenagers or thieves gaining access to your collection, you will want to be sure to choose a wine cooler with a safety lock already integrated into the design. Most wine refrigerators are equipped with tempered glass because it is significantly stronger than standard glass. When a wine cooler is placed in a kitchen, restaurant or other area of high traffic, it is important that the glass is not susceptible to breaking when accidentally bumped or hit. Harsh light and UV rays can be extremely harmful to wine. They add extra heat for your refrigerator to work against and ultimately ruin the taste of your wine. Most wine coolers have tinted glass so that your wine is protected from this potential harm. Developed to be more energy efficient, thermopane glass doors consist of two glass panes that contain air or gas sealed between them. This makes the glass stronger than one pane glass door, and they are warm to the touch so it minimizes the potential of frost and condensation in the interior pane of your cooler. If a wine refrigerator has a reversible door, this means that you have the option of changing the direction the door will swing. Changing the door direction will typically involve a small amount of labor on your part, but all necessary parts and instructions are readily available. Directions for changing the door direction will always be included in the product’s owner’s manual and are generally very clear and straightforward. Carbon filters are a feature not specific to all wine coolers, only a select few. These filters work to protect your wine from odors that could be detrimental to your wine. Each filter works for about 4-6 months and replacement filters are for sale as accessories. 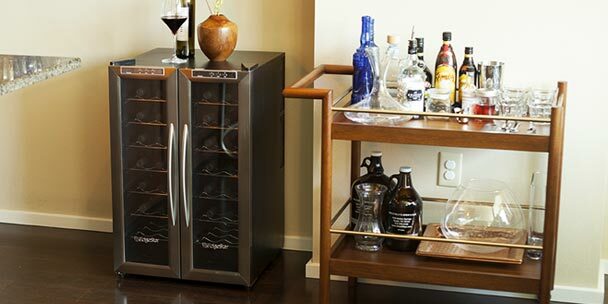 Each wine refrigerator comes with a combination of features. If you are looking for a specific feature it is best to survey the product’s description and specifications. Plagued by a chronic case of curiosity, Jeff Flowers is just a dude that annoys everyone around him with his loquacious goofiness. From beer to home living, Jeff is just trying to hack his way through life and write a few notes about it along the way. You can follow his ramblings here, or listen to him complain about Austin traffic on Twitter at @Bukowsky. Thanks for the article Jeff. I would add single vs. dual cooling zones as another important feature, especially if you just want to keep a few bottles chilled to the right temperature and you like both red and white wine. If you’re going to store a lot of wine for a longer period, 55 degrees is a good compromise and one cooling zone is enough. I have had 2 wine coolers and had noise problems with both. The two previous were compressor cooled. Can you help me understand what thermo electric cooling is and do you sell any of these type coolers? What temperature’s should I set the two gages on inside the cooler to have the Best temp for the wine I am storing? Also can I have Red on bottom and White on top with this cooler and keep them both cooled correctly? Heat rises. At the very least, store the Reds above the whites, as they can tolerate being highly chilled less well. 55 degrees is a safe setting . Do the thermoelectric coolers work well in the summer heat of Arizona? Does anyone have experience with this situation inasmuch as I am concerned about the noise with adding a medium-sized standard cooler to my kitchen. Piedmont: The Most Prestigious Wine Region in Italy? The Stigma of Screw Caps: Why Do They Have a Bad Reputation? Copyright © 2019 Living Direct, Inc. All Rights Reserved.